Manufacturing tanks of all kinds is one of the most common applications of laser seam tracking. 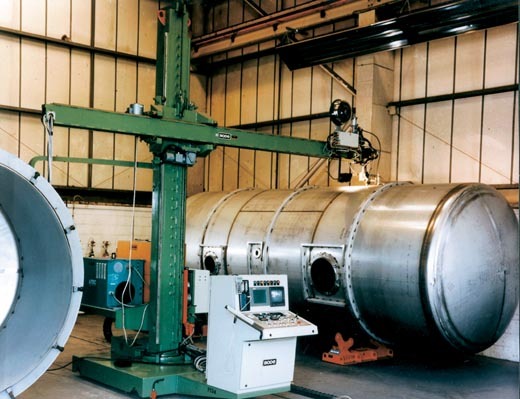 Whether it is for small or large tanks, or whether the tanks are for holding air, water, fuel or even cryogenic materials, Meta has plenty of experience in tank manufacture. Common approaches to welding tanks include mounting large tanks on turning rolls, mounting small tanks on lathes, and increasingly, welding tanks using robots. Large tanks are often made using a column & boom to support the weld head with the tank itself supported on turning rolls, as shown here. This can make access to the weld head difficult or even dangerous for an operator, so laser tracking can help to move the operator to a safe place, as shown by the position of the console on this machine. Meta's Smart Laser Probe and Smart VistaWeld systems are ideal for this application. Manufacturing small tanks is typically a high volume operation where cycle time has to be minimised. Laser tracking then plays a key role in enabling fast finding of the weld joint, often combined with high speed tracking. 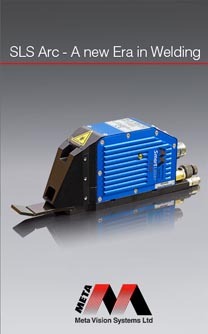 Meta's Smart Laser Probe has been widely used for this application. 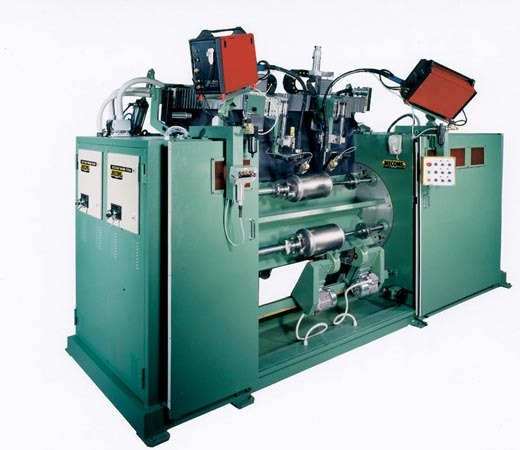 A typical high volume carousel-type lathe machine is shown here, with dual weld heads, each equipped with Meta systems. Robots are increasingly being used for tank manufacture. One advantage is that the robot can be used to weld fittings to the tank as well as to weld the main circ seams. 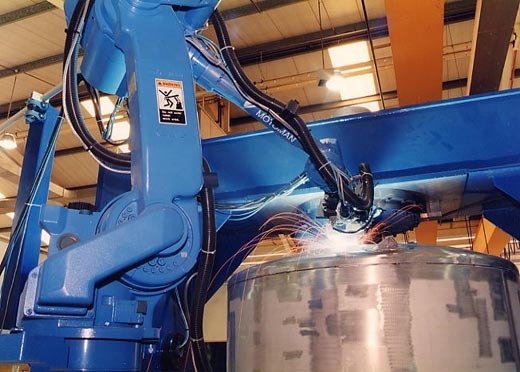 This shows a robot welding a large stainless steel tank aided by Meta's Laser Pilot.